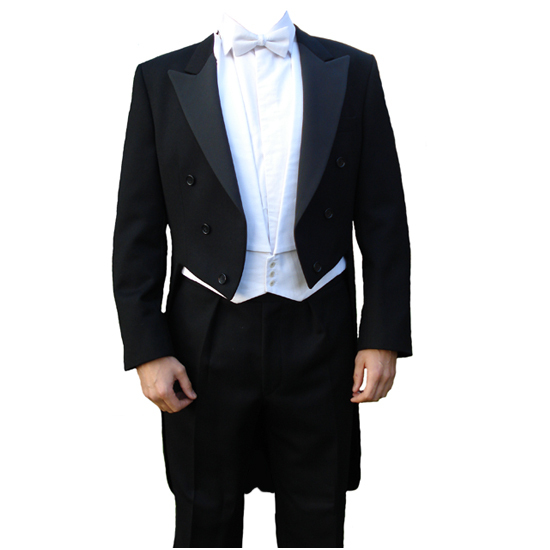 Tailored to a very high standard, these White Tie tailcoats are manufactured from the finest 11 ounce Barathea Wool. They have six buttons at the front - 3 on each side and the lapels are faced with grosgrain ribbed satin. Not to be confused with morning coats, that are traditionally worn at weddings, White Tie should only be worn when this dress code is specified. Just to let you know that my order has arrived and everythin ..